As rates in Brazil plunge, the country’s hedge fund managers are buying riskier assets. But are investors ready? BRAZILIAN HEDGE FUND MANAGERS HISTORICALLY HAVEN'T had to work that hard to earn good returns. They have used the countrys sky-high interest rates as the basis of their investment strategies, often effortlessly outperforming equity markets by focusing mainly on bonds with their double-digit yields. Those easy days are over. Since August of last year, Brazils central bank has slashed rates to single digits, prompting investors to question that basic strategy. They are demanding that hedge fund managers invest in riskier assets, from corporate bonds to equities, to bolster returns. This change in asset allocation has the potential to transform the hedge fund industry in Brazil  that is, if inflation, a constant worry in the country, does not force a retreat from the central banks lower-rate policy. Advisers and institutional investors are beginning to realize that the era of real returns of 6 percent-plus may be behind us, says Arminio Fraga, founder of Gávea Investimentos in Rio de Janeiro. They will need to rethink portfolio strategies and look for longer-term investments. Its a major topic of debate. The vast majority of Brazilian hedge funds, holding more than 95 percent of these riskier assets, are multimercado funds  the name refers to any fund that can invest in more than one asset class. They have traditionally followed a fairly simple formula for success, dubbed the Brazil kit: They invest the majority of their assets in domestic fixed-income securities, then throw in a dash of currencies, overseas bonds and domestic equities for good measure. When rates were high, it was a lucrative  and low-volatility  strategy. But the Banco Central do Brasil has slashed its overnight policy rate, the Selic, by 500 basis points since August 2011, to 7.5 percent in late September. Although the drop in rates has driven up the prices of managers existing bonds, it means that new bond purchases will offer lower yields. As a result, multimercado managers are being forced to rethink the Brazil kit. Today theyre branching out beyond the fixed-income-oriented strategies they favor and seeking returns in other assets and markets. Intrepid managers are tweaking their existing funds or launching new ones to take advantage of higher-volatility strategies that have previously failed to catch on. Theyre using derivatives to add leverage, buying corporate bonds, extending into a wider basket of currencies and delving further into the Brazilian equity market. Some managers are even running long-short strategies, although the latter still represent just 2 percent of the multimercado market, according to the Brazilian Financial and Capital Markets Association, known as Anbima. Theres no way you can achieve 15 percent over benchmark without leverage, says Eduardo Bodra, co-CIO at Advis Investimentos, a macro hedge fund firm that manages 8.4 billion reais ($4.1 billion). The São Paulobased firm leverages its positions as much as three times, primarily through the use of options, a relatively little-used practice in risk-averse Brazil. We are in the top three or four in Brazil in terms of volatility, but compared to international funds, we are average, with about 7 to 8 percent volatility, Bodra says. New firms are opening to take advantage of the newfound craving for diversity. Recently, SPX Capital launched in Rio de Janeiro and Ibiuna Investimentos got started in São Paulo; both firms offer hedge fund strategies. Overall, Brazilian hedge fund managers are starting to expand their horizons, says Alberto Jacobsen, executive director at the São Paulo advisory firm Risk Office: Today there are some very good strategies and managers in the market. But most dont have volume yet. It all amounts to a sea change for the Brazilian hedge fund industry, which has historically maintained a deeply conservative investment profile given investors obsession with the CDI, Brazils overnight interbank interest rate benchmark. Central bank president Alexandre Tombini, whom Brazilian President Dilma Rousseff of the Workers Party installed shortly after she took office in January 2011, is dovish and seen as cooperating with the governments drive to boost GDP growth. Many market observers think lower rates are here to stay, provided inflation remains tamed. (The central bank is very sensitive to inflation given the countrys problems with hyperinflation as recently as the 1980s.) 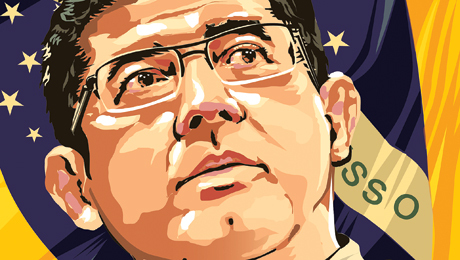 Joaquim Levy, CEO at investment giant Bradesco Asset Management, says interest rates are likely to fluctuate narrowly at modest levels in the near term, spurring investors to look for other ways to generate returns. The prospect of further rate declines seems limited, he notes, with inflation holding at 5.2 percent and most Brazilian economists expecting it to edge slightly higher to 5.5 percent in 2013, compared with the central banks target of 4.5 percent. The futures market, meanwhile, sees short-term rates staying mostly stable, with the January 2014 CDI contract trading late last month at 7.76 percent, a quarter point above the current overnight rate. Market risk will make a comeback in the near future, says Levy. For the past 18 months, it has been eclipsed by credit risk. Hedge funds specializing in more-aggressive mandates believe their turn has come. As rates in Brazil come down, demand for equity and alternatives will increase substantially, says Alexandre de Zagottis, CEO and co-CIO of Advis. Low-volatility funds wont do well because its hard to charge 2 percent and then not provide high returns. Advis is hiring staff with expertise in equities and making the asset class a larger component of its macro funds. We have invested a lot in equity research, and the idea is to feed macro ideas into the stock selection process, de Zagottis says. Last year the firm launched its Advis Total Return fund with 380 million reais in assets; it has an average net long equity exposure of 80 percent. De Zagottis and his co-CIO, Bodra, are also pursuing a number of Brazilian themes that take advantage of the countrys long-term trend of having its rates converge with lower global norms. One of the firms key conviction trades is to short the euro and French government bonds, and maintain long positions in Brazilian debt. Even if the global economy recuperates, which is not our core scenario, French bonds would sell off more than local Brazilian bonds, says Felipe Niemeyer, a partner at Advis. The firms Delta macro fund ranks fourth among Brazilian multimercados, with an annualized return of 20.56 percent in the first eight months of this year, according to NetQuant, a Rio de Janeirobased asset management analysis firm. Ronaldo Patah, head of fixed income at investment giant Itaú Asset Management, contends that monetary policy has become harder to read because the central bank has covertly adopted economic growth targets as part of its policymaking process. The Brazilian yield curve is just much more unpredictable, he says. Life has been very tough over the past 18 months, especially at the short end of the curve. You havent been able to read the bank in an efficient way. Itaú has 300 billion reais under management. Patah has been investing more in bank certificates of deposit and corporate bonds, including inflation-linked instruments, to keep up returns. Even this strategy will need to be fine-tuned, as spreads have tumbled and corporate bonds now typically yield just 90 to 100 basis points over the interbank rate. BTG Pactual, probably Brazils most successful homegrown investment bank and a leader in hedge funds, with 52.1 billion reais under management, already uses a wide arsenal of strategies. Currency trades have been an important part of our exposure, but more opportunistic than strategic given the unpredictable nature of the FX markets in the recent past, says João Scandiuzzi, the banks São Paulobased chief strategist. 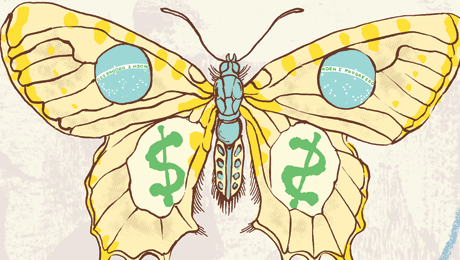 A handful of macro funds, including Credit Suisse Hedging-­Griffos famous Green fund (or Verde, as its known onshore), have always used equity exposure to boost returns. Others are turning increasingly to equity markets. BTG has developed equity long-only and long-short strategies, and it applies ideas across appropriate funds. In its equity strategies the firm steers away from the Bovespa index and is highly flexible, with managers focusing on domestic growth rather than on exporter and commodity stocks, Scandiuzzi notes. Portfolios tend to be concentrated, and BTG typically holds positions for at least one year. Still, most macro funds are only gingerly entering equity markets. Poor Brazilian stock performance in 2008 (the Bovespa index lost 41.22 percent, measured in local currency) and 2011 (when it lost an additional 18 percent) has acted as a deterrent. The index gained nearly 83 percent in 2009 and approximately 1 percent in 2010. Given the volatile performance of Brazilian equity markets  to say nothing of uncertainty in the global financial markets  it is not surprising that long-short funds, many of which are long-biased, account for such a small slice of the hedge fund market, at 2 percent, or 8.9 billion reais, according to Anbima data. Long-short funds have been disappointing, and some hallowed funds did not provide good performance, says Risk Offices Jacobsen. Even with the new inflows since last fall, long-short funds have hardly benefited, he says. Hedging-Griffos Strategy HG Long & Short Fund is an example of a fund that has managed good performance in up and down markets. In 2010 the fund generated close to 14 percent; last year it was up 17 percent in local currency terms, says Demian Pons, equity long and short portfolio manager at the firms headquarters in São Paulo. Historically, many long-short funds have been a beta play for investors, whereas we look to this strategy to extract alpha, he notes. The fund has $275 million, $22 million of which is offshore. Pons seeks returns from timing the market, intersector and intrasector pairs, and event drivers such as takeovers or significant news announcements. Given the lack of liquidity, you need to be agile and use all these techniques to add value, he says. BRZ Investimentos has a successful long-short strategy, and the BRZ Fund SPC Equity Market Neutral fund holds $90 million. The fund pairs longs and shorts dollar for dollar and is sector neutral, says the São Paulobased firms CEO, Allan Hadid. A recent arbitrage played a long position in Banco Bradesco, because of its insurance business and quality of service, against a short position in a bank Hadid declined to name that is underperforming in credit quality, management costs and return on equity, he says. The offshore fund, which hedges currency exposure, was up 7.9 percent in dollar terms this year through the end of July and returned almost 2 percent last year. A lack of investor appetite and thin markets make it difficult for long-short equity funds to do well in Brazil, however. Shorting outside the very largest names is expensive and risky, if improving, because of the possibility of a squeeze, as many found out at their expense in 2008. 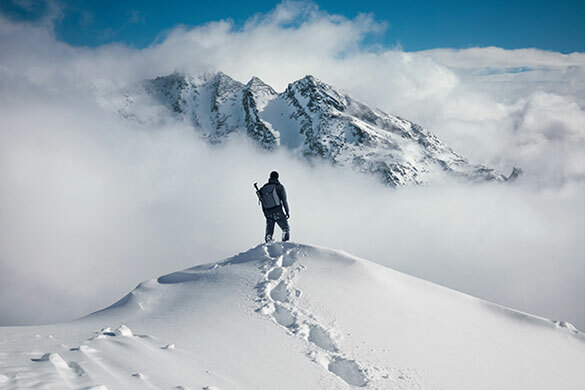 Adviss de Zagottis has launched a long-short fund but says the product is not scalable, and he will close the fund to new investments rather than invest in illiquid assets. A lack of liquidity and high trading costs mean more-esoteric funds are largely absent from Brazil. Quantitative funds, which play such a crucial role in strategies overseas, are almost unknown, says Christian Zimmer, head of quant research at Banco Itaú BBA in São Paulo. There are not enough factors to carry out sophisticated modeling, he notes. Even Brazils relatively new equity options market has not developed sufficient depth for arbitrage, and the exorbitant costs of execution make high frequency trading funds more talked-about than a reality, Zimmer says. These obstacles have not stopped ambitious hedge fund managers from branching out of their fixed-income comfort zones. Whether these more adventurous funds are here to stay remains to be seen, however. Brazilian investors are particularly sensitive to performance, and the hedge fund industry is marked by higher levels of turnover than are typical in developed markets. Toward the end of last year, after the central bank started to cut rates aggressively in the face of the European crisis and lower inflation, hedge fund performance skyrocketed as bond prices jumped. The upshot? Investors poured 1.5 billion reais of new money into multimercados, particularly those with higher-risk characteristics, from September 2011 through this March. It was a sharp reversal from the first eight months of last year, when investors pulled some 10 percent of industry assets from Brazilian hedge funds after they suffered a bout of poor performance. 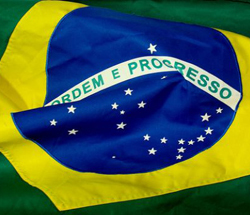 Brazilians tend to look through the rearview mirror and react to events and past performance, adviser Jacobsen notes. As soon as multimercados started to perform, they moved back in. If hedge fund managers in Brazil can figure out the right formula, they could see rewards in the form of new investments. A State Street Corp. report forecasts annual growth rates of 15 percent in Latin American assets, of which more than half are in Brazils $1.1 trillion onshore fund industry. The notion that both onshore and offshore investors are increasingly prepared to take more risk is widely accepted. The big question is when. Bradesco Asset Managements Levy predicts big changes in asset allocation in Brazil over the next two years if real rates stay at current levels of less than 3 percent. Bradescos multimercado funds aim for 2 to 4 percent volatility a year and returns of 3 to 5 percent above short-term rates. Multimercado funds are a sector that should grow in the coming months and beyond, given our macro forecasts, Levy predicts. This year some of the firms key multimercado strategies have been designed to benefit from falling rates with duration plays and to employ leverage to enhance results. Arbitraging distortions between Brazils liquid inflation-linked markets and fixed-rated debt can also be attractive while the curve remains hard to predict. Going forward, Bradescos Levy sees shares outperforming commodities as the global economic recovery takes hold within a benign inflationary environment. 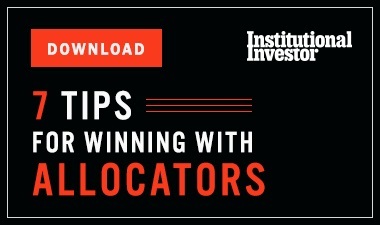 Other areas likely to benefit from investors search for higher returns include infrastructure and private equity, sectors where hedge funds currently operate only at the margins. Brazils well-developed infrastructure companies are doing well because they have real assets and cash flows that act as a natural hedge against inflation, Levy says. He cites two favorites. Logistics firm EcoRodovias has good management, a clear business plan and a solid track record; the company fits well with many of Bradescos more conservative utility, infrastructure and dividend funds, he says. Mills Engenharia has a number of business lines related to engineering works, ranging from industrial projects for petrochemicals company Braskem to construction work on a Four Seasons hotel in São Paulo. When you have a tricky job, you get Mills in for the most complex part, says Levy. Funds of funds continue to be a growing source of inflows for hedge fund money, as do Brazilian retail banks that give clients access to funds other than proprietary ones by offering products from other managers. Although banks are directing more client money to independent asset managers, they still tend to steer their clients to their own funds. As for institutional managers, they are still just testing the waters. BRZ CEO Hadid notes that in a recent survey of pension funds commissioned by his firm, some 80 percent were considering allocating more outside fixed income. Yet credit, private equity and public equities were higher up the list than hedge funds. If hedge funds do receive a trickle rather than a flood of money, investors will have the luxury of cherry-picking managers, and track records and process will be vital. After four years of yo-yo markets, investors are looking for managers that can deliver absolute returns. Gávea, one of the most famous macro managers in Brazil, is gearing up for this change by diversifying its product base. It is moving into niche hedge funds, private equity, buyouts, infrastructure, agribusiness, credit and real estate, says founder Fraga. The manager has set up a new equity group, which Fraga says has performed well; he expects it to grow over time. For a specialty house like ours, there are great growth opportunities, he says. Increasingly, the line between hedge funds and other alternative assets  such as agriculture and real estate, both growing markets in Brazil  will be blurred. Managers such as Vision Brazil Investments, which has funds in areas that stretch from restructured debt to agricultural land and financing to private equity, point the way. All this innovation seems a long way off for a conservative industry after a brutal 2011. 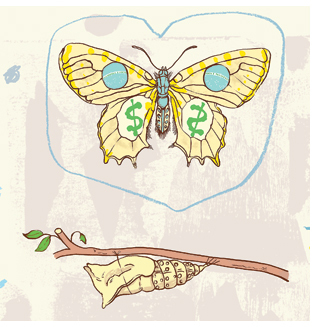 Most managers are still licking their wounds and figuring out how to step up a gear. How will they create genuine alpha and face up to stiffer competition? Risk Offices Jacobsen notes that stock picking is harder than sticking to the standard Brazil kit  and running a long-short strategy is harder still. But managers that can really differentiate themselves will do well in coming years. We are looking at the end of the era for low-volatility funds, he says. That is, he cautions, if rates really do stay down for the long term.